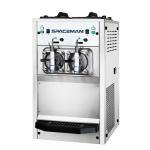 Founded in 1997, Spaceman Company started as a group of aerospace industry and ice machine manufacturing experts who decided to utilize their knowledge of precision machinery to improve the design, manufacturing process, efficiency and ease of use for high-quality soft serve and beverage freezers. 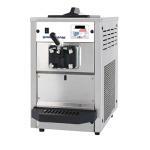 For almost 20 years, Spaceman Company has grown and expanded to become one of the largest and most successful manufacturers of soft serve machines worldwide. Today, Spaceman is highly regarded for its top-notch quality, ethical standards, customer service, continuous innovation and improvement, environmental consciousness, mechanical safety of its products and highly competitive prices.